Sibling rivalry isn’t inevitable. Many children actually like and get along with their siblings. 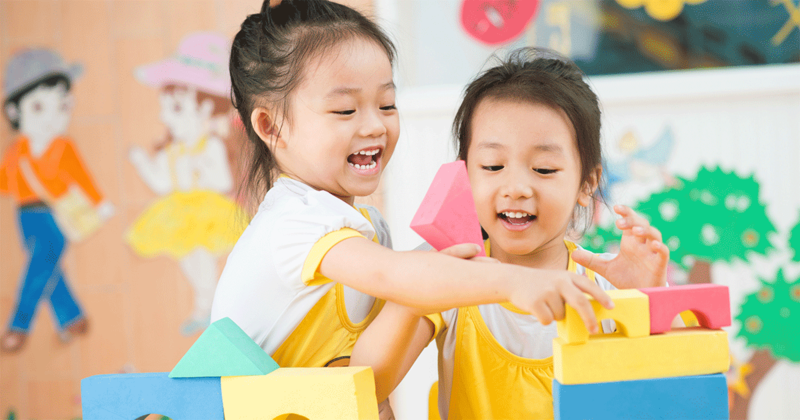 Here’s how to encourage a strong sibling bond from a young age. With the birth of my twins, I assumed my eldest would wait years before enjoying his siblings. “They’re too small to do anything fun with him,” I thought. I also dreaded the potential backlash of introducing new siblings—the potential sibling jealousy, rivalry, and even physical assaults on the new babies. Thank goodness those fears were unnecessary. And I didn’t even need to wait for my kids to get along—their love grew right from the start. Okay, maybe not right from the start. If anyone will remember, it took my eldest son several weeks to adjust to his new brothers. I don’t blame him. The change was hard enough for us, and we knew what we were getting into. Read more about how to help your older child adjust to a new baby. Sometimes we think kids will get along much better if we define which item belongs to whom. No fighting over the same toys, right? Instead, studies found that scarcity actually leads to cooperation. The less toys kids have, the more they’re forced to find a way to play with one another. My husband and I don’t ask our eldest for permission to use his toys on behalf of his brothers (“Can he play with your fire truck?”), just as the babies’ toys are up for grabs and not solely theirs either. They have a few cherished items that are theirs and theirs alone. These are the special toys they turn to for comfort. But otherwise, toys belong to everyone, eliminating any “This is mine,” possessive talk. 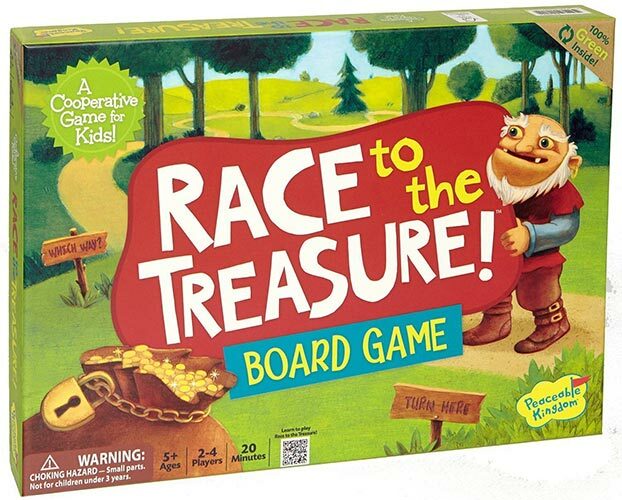 By the way, one of the best board games we play is Race to the Treasure. Rather than kids competing with each other, they work together to “beat the ogre.” Highly recommend! As young as they may be, my twins have gotten into arguments with each other. Small stuff, like vying for the same toy, or getting into each other’s space. Still, I don’t step in unless needed. I watch them grab toys back and forth from each other, seeing how they’ll handle the situation. In most cases, they’ll decide on their own how to play and resolve the issue, or realize the toy isn’t worth the trouble after all. Step in when things get physical, such as when a toy will hit someone’s head or they’re about to hurt each other. Otherwise, let kids resolve their own social conflicts. And don’t make a big deal about it. Jumping in with solutions or refereeing can escalate into a bigger problem than it needs to be. My four-year-old was sitting on a chair playing a guitar when he shrieked, “He’s climbing on me!” He didn’t know what to make of his 11-month-old brother crawling on his lap, drawn by the music. The boy who, a second ago was recoiling from his baby brother, was now telling, “See?” and teaching him how to pluck the strings. This has been one of those amazing tricks that has worked every time. Whenever my eldest is on the verge of freaking out, I tell him his brothers only want to learn from him. I could have lectured him, or told him to calm down. But they miss an opportunity to play with and learn from one another. Kids love being teachers because it makes them feel like adults. Teaching also lets them take back the power they sometimes lose for being kids. Now he’s the “big kid” who has a thing or two to teach his baby brother. 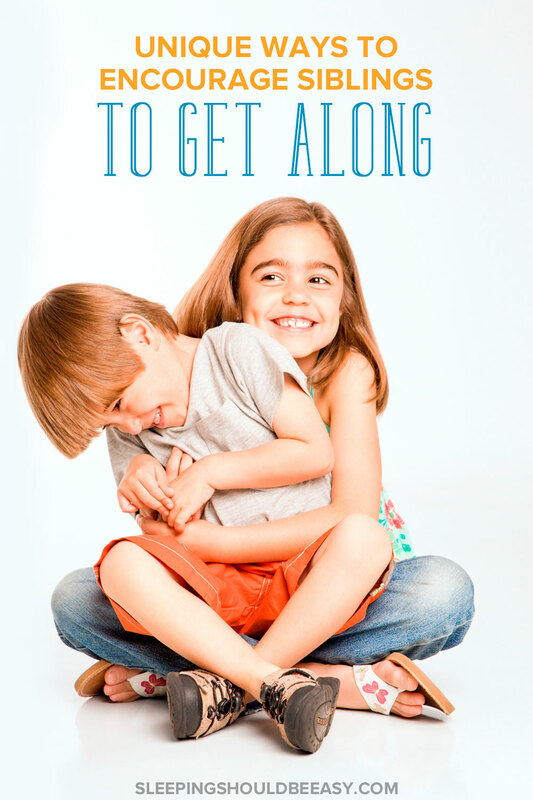 Get tips on how to stop sibling rivalry and teach conflict resolution instead. Sharing is over-rated. Or rather, being forced to share is over-rated. Of course we want our kids to share on their own, but to demand them to do so isn’t fair. Instead, encourage your kids to take turns or play together. Let’s say my eldest wants to play with something that one of the babies has, or vice versa. I tell them to decide how to play with each other or to take turns. If a struggle is about to happen, guide them to a solution. I might track whose turn it is to press the light up button, or I’ll ask my eldest to scoot over so the other one could have some space to play too. Forcing kids to share gets the job done… begrudgingly. And since I want to encourage siblings to get along, I want to nurture a genuine desire to share, not force it on them. Read more reasons kids shouldn’t be forced to share. Nurture a genuine desire to share, not one that’s forced. “Come back here,” I called to my baby, as he made his way towards the electric fan. A second later, my eldest son repeats, “Come back here,” complete with my same warning tone of voice. Sure, I want my eldest son to look out for his brothers, but I also don’t want him to feel like he has the same authority as his parents do. His role isn’t to be a parent, but to be a big brother. So when he assumes the same tone and acts like he’s disciplining his brothers, we tell him to stop. It’s not his place, and I wouldn’t want his younger brothers to resent him. Instead, we thank him for letting us know that one of his brothers is heading to the electric fan. But he should leave the parenting up to us—his parents. Since older kids can’t “parent,” encourage them to help. They’ll love putting the bottles away in the fridge, or grabbing the diapers and socks. I tell my eldest on many occasions how helpful he is. You can even combine asking his help with play time. One of the ways my eldest helps with the twins is keeping one company while I bathe the other. I’ll place one baby in his crib, and my eldest will play peek-a-boo so the baby doesn’t feel alone. Not only is my eldest helping me, he’s also playing with his brothers. Read more about how to get your older child to help with younger siblings. Encourage your older kids to help the younger ones. Inevitably, kids won’t get along sometimes. 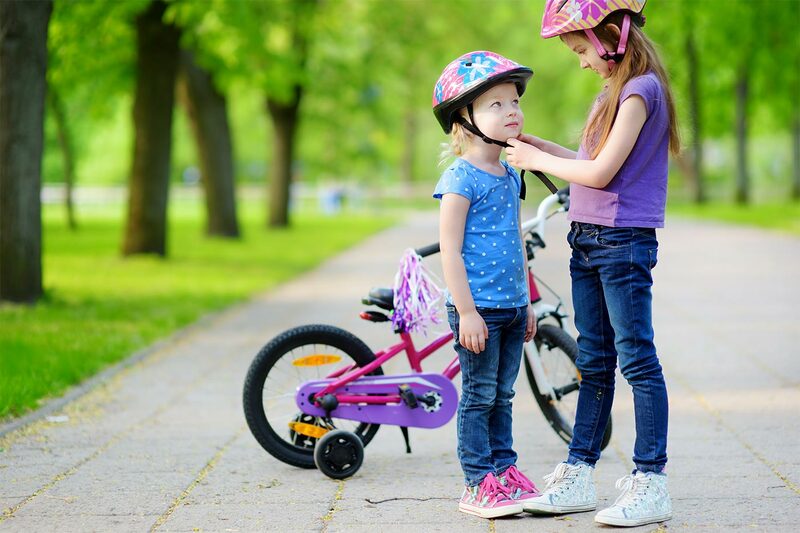 Even if we encourage a sibling bond, they can still be downright mean to one another. That’s when we step in and prevent that animosity from getting any worse. Encourage respect and have zero tolerance for hurtful words, even among the kids. And praise your kids when they’re helping one another out. The other day, the twins were sitting in their high chairs when they kept dropping their toys to the floor. On his own, my eldest picked the toys up and handed them back to his brothers. I made sure to praise him. Of course, don’t be a praise-junkie with kids who will do things just to receive praise. After all, sibling harmony should be regular, not a novelty. Still, a good way to establish positive behavior is to praise it. One of my favorite ways to praise kids? Show them how happy they make their siblings. They’ll learn how their own actions and altruism can bring joy to others. 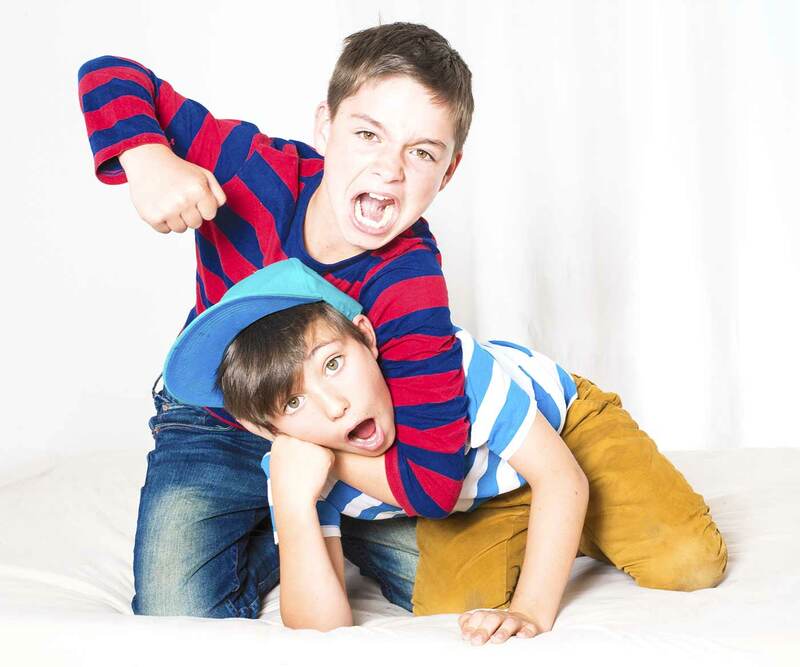 Despite the stereotypical “sibling rivalry,” you can encourage a sibling bond, no matter their ages. Sibling harmony isn’t only about making sure no one is fighting, or keeping tabs on whose toy is whose, or even forcing them to share. Instead, getting along with siblings is when each child feels a genuine love for his or her brothers or sisters—right from the start. Do you struggle with siblings fighting? What are your tips to encourage a strong sibling bond? Let me know in the comments! BOOKMARKED! I haven’t reached this stage of parenting yet but I am saving this post for reference when the time comes. This is a FANTASTIC list. I’m not kidding- this is such a great post and could really help a lot of families and parents. I wish there was a “favorite” button I could click. As a person who literally just stopped by your blog and read this entry as the first of yours, WOW! I can tell I’m gonna like you! Thank you Rebecca! That means a lot. I’m trying to imagine what it would be like to get not one, but TWO baby siblings at once. I love the one about letting older siblings be teachers. It really does change my daughter’s whole demeanor to realize she can teach her baby brother something. And I agree about communal toys. They definitely play with each other’s toys and sometimes it hurts feelings, but often not at all. I’ve been doing the “teacher trick” a lot these days. When my eldest gets possessive about a toy, I say, “Ooh, show him how it works.” Instantly, it’s like they’re play mates again. I just wrote a post on sharing two seconds ago (great blogging minds think alike)! Love this post — it’s seriously helpful as we think about adding to our family (so far, just the one kiddo). Thanks for “sharing” (sorry, had to go there). These are great tips! My kids have been bickering a lot lately and I’m sort of at a loss. Will try these ideas! Having a full arsenal of approaches is helpful with this one, as children’s personalities are all different, and therefore the strategies that work with some don’t work so well with others. One word of encouragement to the parents of little ones is that I have seen over and over how adult siblings – who fought like cats and dogs – end up as best friends!